Japan's Nikkei lost 2.5 percent after President Trump announced the tariffs. JFE Steel Corp. has a factory in Kawasaki near Tokyo. President Trump's promise to impose hefty tariffs on U.S. imports of steel and aluminum sent markets around the globe into a tailspin and prompted anger and threats of retaliation from major U.S. trading partners, raising the specter of a full-fledged trade war. As NPR's John Ydstie reports, during a Thursday meeting, the president promised steel and aluminum executives that he would protect them against foreign competition by levying tariffs on both metals in the coming weeks – 25 percent on steel and 10 percent on aluminum. "The tariffs are a response to the overproduction of steel and aluminum by China. But since there are already import restrictions on those Chinese products, new barriers are likely to have an impact on European allies, as well as Canada and Mexico, which could trigger retaliation. As NPR's Scott Horsley reported, the Commerce Department argues that growing imports of steel and aluminum, driven in part by overproduction in China, have so weakened America's producers that a future military mobilization could be at risk." The markets were quick to respond: The Dow Jones industrial average fell sharply, closing 420 points lower on Thursday, shedding 1.7 percent. At closing, Japan's Nikkei lost 2.5 percent, and Hong Kong's Hang Seng was down nearly 1.5 percent, although Shanghai's Stock Exchange seemed to largely shrug off the news, losing just under 0.6 percent. Similarly, European markets were also down. While some Republican lawmakers said they needed more information, Utah Sen. Orrin Hatch, a staunch Trump ally, called the planned tariffs "a tax hike the American people don't need and can't afford." "I encourage the president to carefully consider all of the implications of raising the cost of steel and aluminum on American manufacturers and consumers." China: Beijing "urges the United States to show restraint in using protective trade measures, respect multilateral trade rules, and make a positive contribution to international trade order," Foreign Ministry spokeswoman Hua Chunying said. Canada: "Canada will take responsive measures to defend its trade interests and workers," said Foreign Minister Chrystia Freeland, who called the proposed U.S. tariffs "absolutely unacceptable." Mexico: Citing government sources, The Financial Times says that amid talks on the future of the North American Free Trade Agreement, or NAFTA, Mexico had "made it clear that if included [in tariffs], Mexico will have no other option than to react." European Union: "We will not sit idly while our industry is hit with unfair measures that put thousands of European jobs at risk," European Commission President Jean-Claude Juncker warned. "The EU will react firmly and commensurately to defend our interests." Germany: Berlin called on the EU to respond "with determination" to a move by Washington that was "not at all acceptable," Foreign Minister Sigmar Gabriel said. Australia: "The imposition of a tariff like this will do nothing other than distort trade and ultimately, we believe, will lead to a loss of jobs," Trade Minister Steven Ciobo told reporters in Sydney. 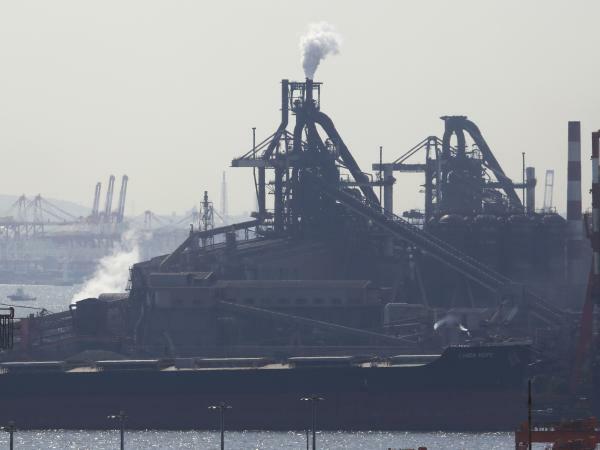 Brazil: The second-largest exporter of steel to the U.S. expressed "enormous concern" at the tariffs, saying these could cause significant damage to producers and consumers in both countries, NPR's Philip Reeves reports. Japan: "I don't think exports of steel and aluminum from Japan, which is a U.S. ally, damages U.S. national security in any way, and we would like to explain that to the U.S.," Japanese Trade and Industry Minister Hiroshige Seko said.